Setting up a shopping cart (e-commerce) on a website today is much easier than it was back in 2001 when Webstix in Madison, WI first started setting up online retail websites. The tools are better, more secure and can make it so your website basically runs your business for you. Through our years of experience, we’ve set up over 200 shopping cart websites of all shapes and sizes – be it standard carts or something more sophisticated or complex. The main goal for an e-commerce website is to easily sell products online and make revenue. To do that, planning needs to go into how the shopping cart will be set up, how it will work and even how the back end (order fulfillment) will work. It all needs to work together seamlessly in order to provide return on investment. Don’t be. 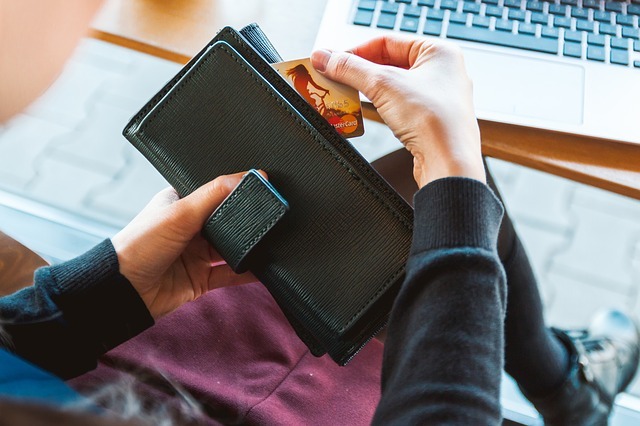 We’ve found that some of our clients were afraid to go ahead with e-commerce because they thought the way they do shipping would never work online or they thought taking credit cards online was difficult. We’ve been setting up shopping cart websites since 2001 and we’ve pretty much seen it all. Many of the ways we’ve set up carts for clients is finally now just becoming the norm in our industry. Our carts have truly been cutting edge and we remain on that front. When we meet or talk, we’ll dig into how your company works to make sure we provide the best solution possible! Webstix has set up many kinds of shopping carts and payment pages but we specialize in Magento and WooCommerce (WordPress). Both carts are full-featured and can be customized by the use of plugins or custom plugins to provide the functions that our clients require. 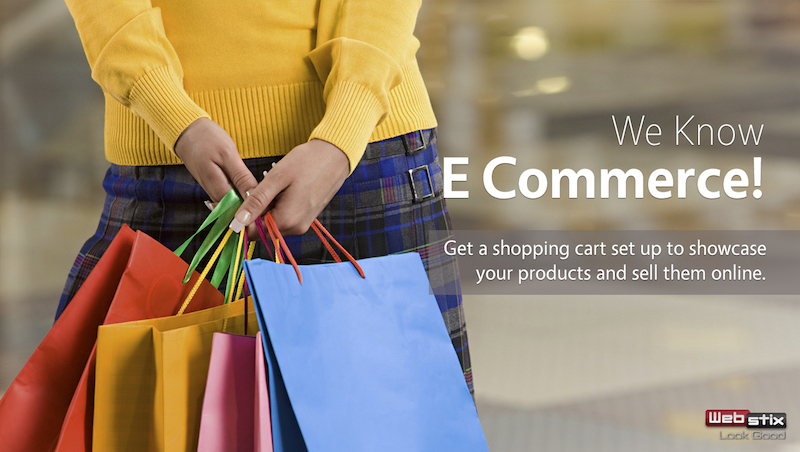 It’s important when choosing a shopping cart platform to know which plugins are available. You do not want any website developer doing custom programming to the core software but only by using plugins. Custom programming should only be in plugins so that the core software can be upgraded or patched when needed. You also want to use a platform that has frequent updates to help protect your website against hackers who exploit holes in the software. Sometimes website owners get upset when updates come out but it’s actually kind of a good thing. It means the software is being patched to protect against any security holes as well as being improved. You should expect software maintenance costs / upgrades. It’s a part of owning an e-commerce website/business. 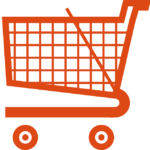 Did you know that around 70% of online shopping carts are abandoned? Did you know that 67% of shoppers will purchase items from different stores or websites (than their usual go to store) to get the lowest price. If you can compete in the marketplace, you have a unique opportunity to capture the attention of shoppers who put items in their cart and then start searching for better prices. To do that, you need to offer purchasing your products or services online so when people are searching, your website shows up and gives them the ability to make the purchase right then. There’s a good chance you’re missing out on online sales simply because you’re simply not offering your products or services online. More and more people have a computer in their pocket today – their mobile phone. When they’re ready to buy and have their wallet out, will you be there? 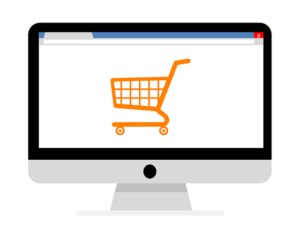 Even if you’re not going to sell products online right now (or ever), you may still want shopping cart software on your website to show your products. Doing this is called “catalog mode” and it has categories and formatted pages, which help you display the products you have but all “add to cart” and check out features have been turned off. This means nobody can buy products you have on your website. The cart software just makes it easy to organize and manage your products. We’ve set up many websites like this. Some clients even planned on selling products online in the future and we’ve set up their website using a cart with shopping turned off so that selling later is easier. When you do that, just make sure you’re entering data like product weights to make the process easier. More websites can be found in our portfolio. It’s Time to Do E-Commerce The Right Way! If you’re ready to have an online shopping cart or just want more information, contact Webstix in Madison, WI to find out more how we can help you retail your products on the web. "We want to thank you and your Webstix team for helping to resolve the problem with our website. You are a great group to work with and everything is done with such professionalism. It's so easy to work with you and your team as you understand everything our company needs whenever we request services from you. We have used Webstix several times in the past few years, and you have always surpassed our expectations. Last week, we were faced with a website crisis when our website was down and could not take registrations due to an upgrade with our previous host. Getting our website up and running to accept registrations and payments was critical to our business. We are in the middle of Spring registration now. Our previous hosting company could not help us with the problem. When I contacted you, you were able to identify the problem immediately. Within 24 hours, you resolved our issue and our website is back in operation. Your knowledge and expertise, problem solving skills, as well as great customer service is what will keep us with your company for a long time! We are truly grateful for your work and we look forward to using you again in the near future. We feel secure knowing that you are now hosting our site."